Bedroom is the place for privacy and overall relaxation. so vastu tips for bedroom is essential and has been given a very high priority and significance. 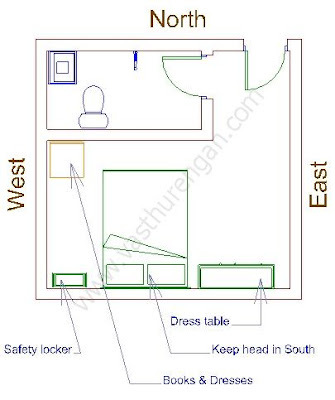 As per vastu shastra, Bedroom acceptable shapes are square or rectangular. In case if the bedroom is rectangular then the reasonable length to breadth ratio is less equal to 1:2 like if the length is 20 feet then the breadth has between 10 feet to 40 feet. 1) Bedroom should always be in the south-west corner of the home and head of the family have to occupy this bedroom. 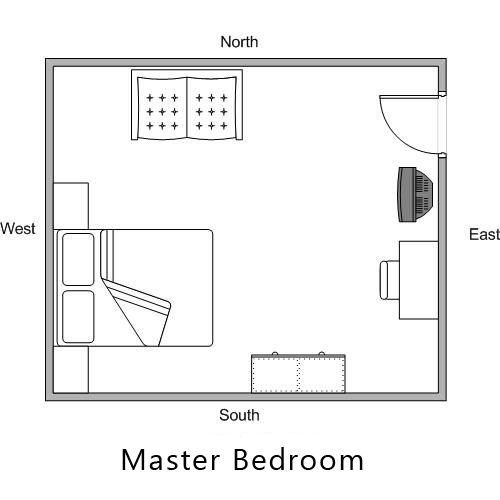 2) The master bedroom should always be bigger than other rooms of the home. a) Sleeping with legs towards the west gives mental stability and way to spirituality. b) Sleeping with legs towards the east gives name, reputation and wealth. c) Sleeping with legs towards the north increases prosperity and luxuriousness. 4) Bed alignment to any corners is not suitable. 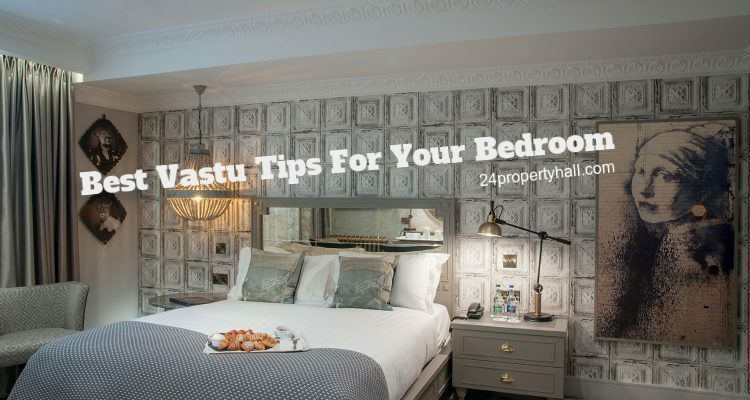 5) According to vastu, the master bedroom should only be used by married couples. 6) West or north side is suitable for attached bathroom, changing room or bath tub etc. 7) The bedroom should not face the bed directly and the door of the bathroom must kept closed. 8) East, North or West walls are the best place for entrance door of bedroom. Avoid the south wall. 9) The door of the bedroom is of single shutter and always opens completely without any noise. 10) East or North walls are good for windows in the bedroom. 11) Keep the safe towards the south wall and opens towards the north then its very auspicious. 12) Place dressing table with or without mirror in the north or east wall. 13) Please avoid TV, PC or Laptop in the bedroom. 14) If you want to put TV, Heater and other appliance in the bedroom then choose the South-East direction of the bedroom. 15) Plants, Fish aquariums or any other life forms are strictly prohibited in bedroom. 16) If a bedroom is in the west side of the home then its best for children. 17) Unmarried or guests can use a bedroom in the East. 18) If a married couple sleeps in a North-east bedroom then they have to face long-term diseases. 19) Avoid any bedroom in the center of home. 20) Use light rose, blue, gray, chocolate or green as wall colors for bedroom. 21) Install a Bagua outside a bedroom to protect from negative energy.